Nepali actress Gauri Malla has accused a Nepali resident in Japan of deceiving and exploiting her. She had lodged a complaint against the individual to the Embassy of Nepal in Japan. When the embassy didn’t take any action to her complaint, Gauri has publicly told about the incident. Gauri had tried to keep the identity of the person secret. But, Anoj Shakya, the accused has “proudly” told that he is the person who had duped Gauri Malla. 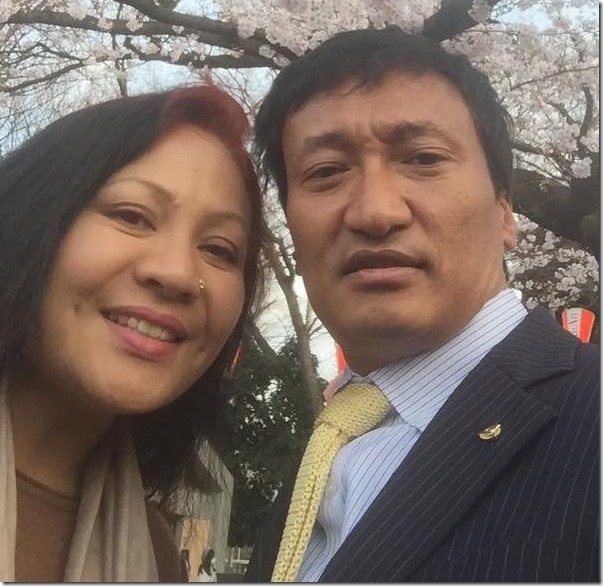 In the report, Anoj Shakya had proposed Gauri Malla to go to Japan and work in the film industry there. He had also sent Rs. 300,000 for the ticket to Japan. When Gauri reached Japan, Anoj reportedly had sexually exploited Gauri Malla. In response to Gauri’s accusation, Anoj Shakya has accused Gauri of stealing his camera and had promised to marry him. He has also shared his photos with Gauri Mall in Facebook. I will update this post with more details when they are available. Anoj Shakya is known as a liar, con man in Japan as well. He is also a ex-convict , a former criminal in Nepal, isn’t he ? In the past, because he collected money from many Nepali who wanted to work in Japan and did not send them to Japan, he was arrested for swindling money. Be careful. He is quite a bad guy. I am also trying to go through him . Is he a fraud ?? ?